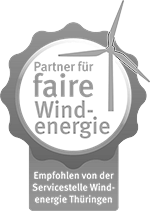 Green Energy 3000 Holding provides you with information about its offers and services on national and international trade fairs. Come and visit our specialists during one of the following events.We look forward to meet you at our stand! Power Astana is the main metropolitan exhibition area for demonstration of equipment, technologies and services in the field of Energy, Electrical equipment and Machine building.Power Astana project is primarily intended for specialists of the Northern, Western and Eastern regions of Kazakhstan. Green Energy 3000 Holding presents itself this year at ReEnergy Kazakhstan 2016, one of the most important trade fairs and conferences which is dedicated to energy producers in Central Asia, and where producers, suppliers and service providers from all over the world are participating every year. Green Energy 3000 Holding will present its projects for the third time at the world's largest conference and exhibition for renewable energy and innovation - the World Future Energy Summit 2017 in Abu Dhabi.The World Future Energy Summit shows the growing market for renewable energies of the Middle East and is a platform dedicated to find business partners, to attract investments and to introduce innovations to the market.